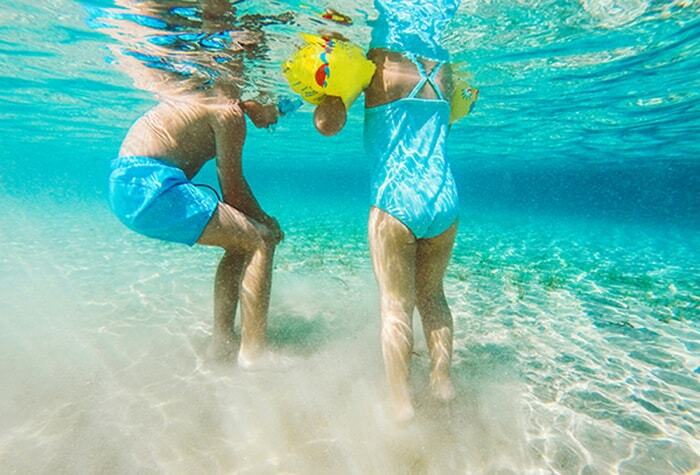 While every family is unique, all families want to make their family holidays in Corfu meaningful and memorable. Grecotel Corfu Imperial Luxury Family Hotel makes your wish a reality. Here kids are treated like celebs, with their own amenities, dining menus, discovery adventures, New Grecoland area, welcome gifts and much more! A multi-activity camp is going to operate for our younger guests during high season. The Grecoland Club was created entirely with kids in mind. Brightly coloured benches and tables, costumes, crafts, activities and competitions create a magical holiday experience for children aged 4-12 years, during the whole season, 6 times per week. Grecoland offers regular, supervised, morning and afternoon sessions. Children under 4 are welcome to use the Grecoland facilities, but must be supervised at all times by a parent or guardian. GrecoKids is all about having fun in combination with learning about Greek culture, its history and its natural environment. Six days a week, GrecoKids can enjoy arts and crafts, water activities, team games, theme events, environmental days, treasure hunts and gardening fun – all at Grecoland. These junior guests love active holidays and that’s just what they get! From the new Discovery Adventures to parties and discos, there is something to occupy them from morning to night. Grecoland organizes sports, team games, water activities, creative crafts and whilst playing they are learning about our fragile planet. From morning to night, there is plenty to keep teens occupied. From beach volleyball, watersports, tournaments, dancing, safe internet surfing, parties and dances. Children up to 14 years old stay free in the parent's room depending on each room’s capacity. Choose between a wide range of family accommodation. Kids go free in the “Tasty Corner”! From morning to evening, mini buffets offer a constant supply of fresh, tempting food and drinks EXCLUSIVELY for kids... they can eat as much and as often as they like, and it’s all FREE. An abundance of activities including swimming, water sports, horse riding, mountain biking, golf & diving. Packing to travel with tiny babies and toddlers is no longer a nightmare! The solution to travelling with babies and tots! 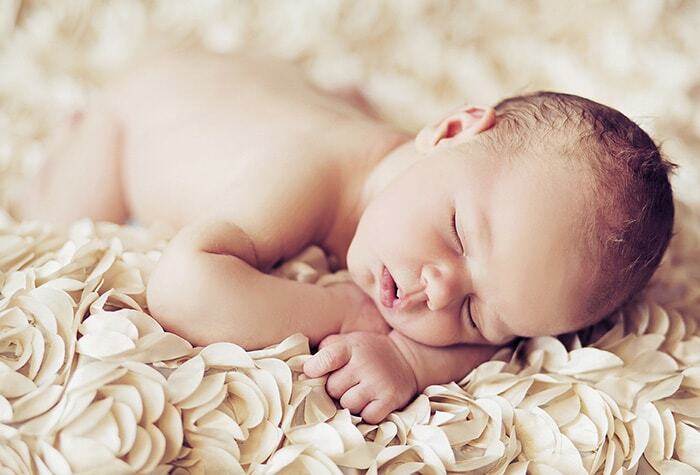 GrecoBaby has equipment including: cots; highchairs; trainer steps; potties; buggies; changing mats; training seats; bottle warmers; bottle sterilizer; kettle (water boiler); baby bathtubs; bouncy chairs; listening devices (some items incur nominal charge). Requests for GrecoBaby equipment should be made directly to the hotel prior to arrival. Debutants combine their love for fashion and beauty. Grecotel Make-up Academy introduces young beauties to the fundamentals of make-up artistry by the top professionals. Available July and August (specific dates). A fun way for kids to discover the mysteries of our fragile planet while making new friends. 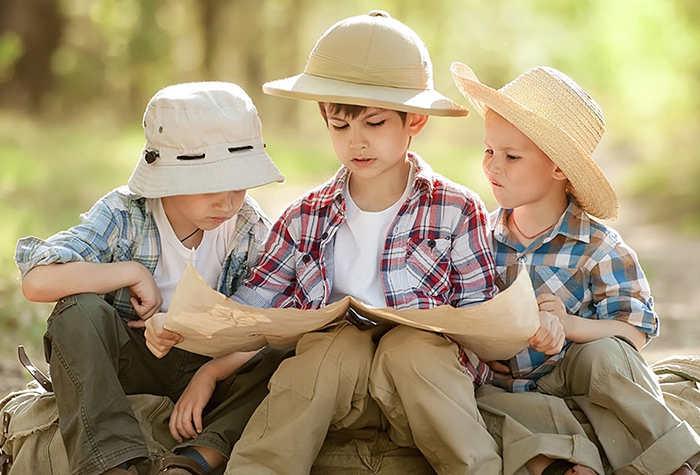 Because kids live nature, these outdoor activities were developed to create awareness and stimulate kids into action towards the environment, culture and healthy eating. The Grecoland Discovery Adventures are available for children 7-14 yrs. and are run by the specially trained multilingual Grecoland team. Children aged 4-6 can enjoy the Green & Blue Days at the Grecoland.